In Algorithmic Synthesis Laboratory (ASL), we conduct research in the area of computational design synthesis, namely the development of the algorithms and software tools for assisting (or sometimes eliminating) human designers, which are applicable to a certain class of products as oppsed to specific individual products. In some occcations, we work on designing specific producs, either as projects on their own or as application examples for generic algorithms and tools. Below are samples of research topics we currently investigate. Click here to see some of our recent past work. Click here to see our design portfolio. 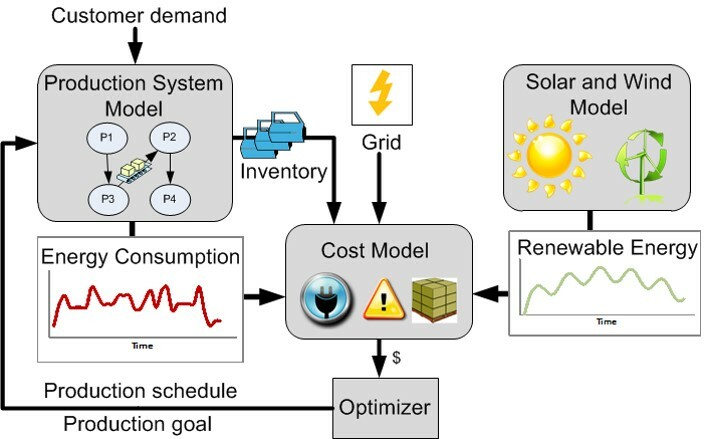 This project presents a data-driven synthesis for manufacturing process constraint modeling, through massive process simulations and data mining. For given geometric representation of the component, the output of the constraint model is the manufacturability estimation (either binary prediction with confidence calibration, or continuous quantitative prediction). The training data is generated by finite element manufacturing process simulations, and the predictive model is trained by classification/regression statistical learning methods. The resulting manufacturing constraint model will be useful to enhance the component manufacturability during manual design iterations as well as computer-based design optimization. The goal of the project is to develop the new mathematical models and algorithms enabling multi-component, multi-material, multi-process topology optimization (M3TO). 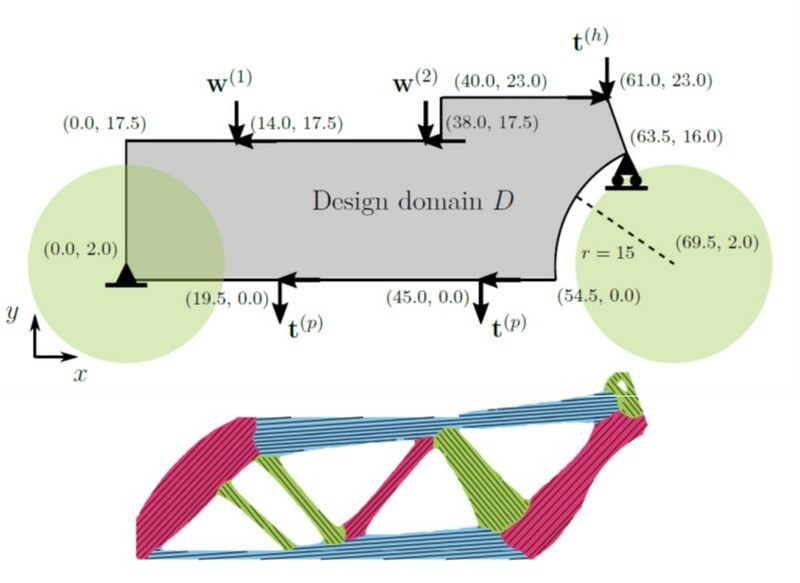 Our group previously developed methods for multi-component topology optimization considering structural stiffness and manufacturing and assembly costs. Due to the complexity of the underlying combinatorial optimization problems, however, these methods suffer from large computational time, making them impractical for realistic applications. We recently made a technical breakthrough that overcomes this limitation by the mathematical relaxation of these combinatorial optimization problems to the ones involving only continuous variable, which enables the use of efficient gradient-based algorithms. Topology optimization for additive manufacturing has been limited to the component-level designs with the component size smaller than the printer’s build volume. To enable the design of structures larger than the printer’s build volume, this paper presents a gradient-based multi-component topology optimization framework for structures assembled from components built by additive manufacturing. Constraints on component geometry for additive manufacturing are incorporated in the density-based topology optimization, with additional design variables specifying fractional component membership. For each component, constraints on build size, enclosed voids, overhangs, and the minimum length scale are imposed during the simultaneous optimization of overall base topology and component partitioning. Manufacturing constraints previously applied to monolithic topology optimization gain new interpretations when applied to multi-component assemblies, which can unlock richer design space for topology exploration. 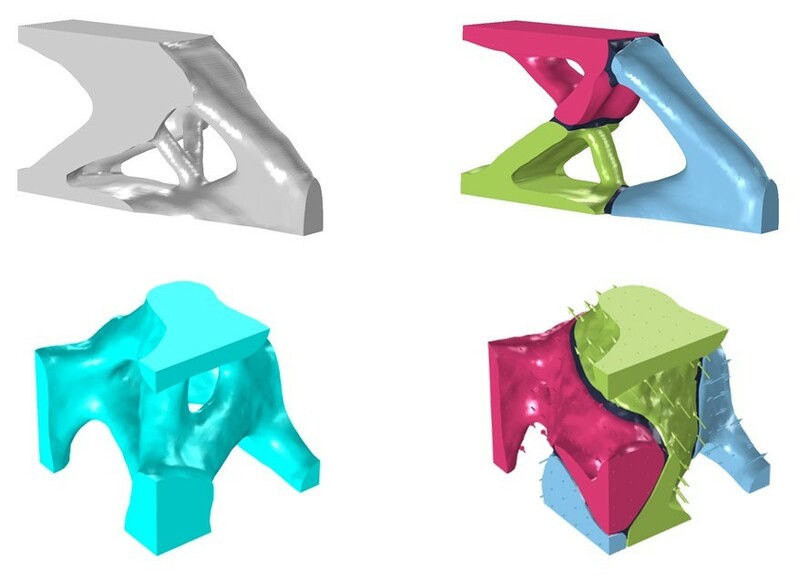 The goal of the project is to develop a topology optimization method for structures made of multiple composite components (substructures) with tailored material orientations. It is capable of simultaneously optimizing the overall topology, component partitioning, and material orientation for each component, via a vector field variable that specifies fractional membership to each component, together with the conventional density and orientation variables. The convergence towards the non-fractional, zero/one membership during optimization is achieved by a hypercube-to-simplex projection of the membership variables with a penalization scheme. Through the integration with a continuous material orientation design method, the proposed method is capable of generating multicomponent composite structures with tailored material orientations for each component, without a prescribed set of alternative discrete angles. The new method extends the existing continuous material orientation design methods by introducing the concept of components (substructures) with the component-level orientation control, which is suitable for economical production with the conventional high-volume composite manufacturing processes. Real-time prediction of traffic state is fundamental to improve efficiency, sustainability and safety of the transportation system, and GPS-equiped vehicles and smart phones has become a new approach to collect probe data from the traffic. 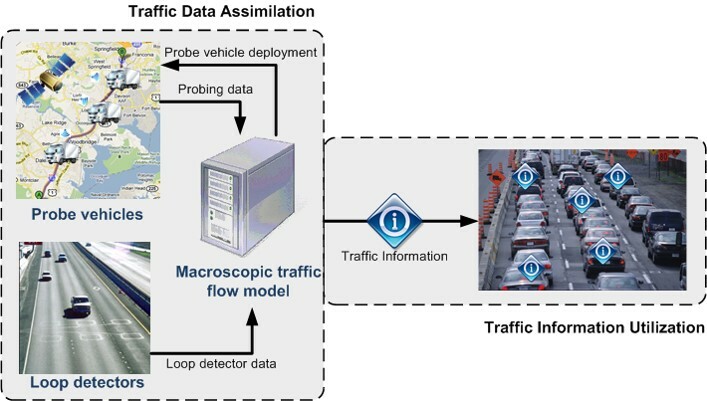 The objective of this research is to develop and validate a multiphase macroscopic traffic flow model and an adaptive strategy to assimilate data from probe vehicles for real-time update of the model, so that traffic information can be exchanged between drivers and the transportation system efficiently to improve transportation system utilization. This work is in collaboration with Prof. Romesh Saigal in Industrial and Operations Engineering , University of Michigan. As outcomes of current radiotherapy techniques are often degraded by anatomical variations during the course of treatments (5-7 weeks), deteriorating quality of patient’s life after the treatment, the investigation on adapting radiotherapy planning in response to the variations has gathered strong interest. Developing accurate deformable image registration (DIR) algorithms is of critical importance since DIR calculates geometric mapping between patient scans so that the variations can be integrated into planning or delivery stages. The objective of this study is to introduce biomechanical guidance to existing DIR algorithms either by developing tissue-specific mechanical penalties (e.g. muscle) or by associating with finite element method. We have been collaborating with Prof. James M. Balter and Prof. Martha M. Matuszak in Department of Radiation Oncology. Click here for a related ME news article. Copyright © 2007-2015 Kazuhiro Saitou. Design by Andreas Viklund.